Click [HERE] to experience private yoga instruction or yoga therapy with me and/or ask me about it in your therapy or coaching sessions! 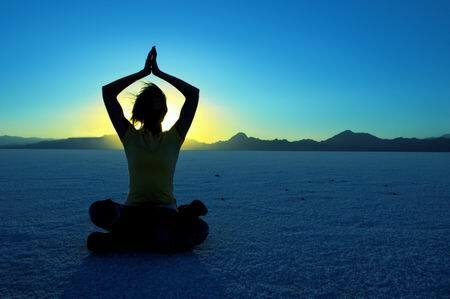 Like taiji & qigong, yoga is also a foundational part of my regular practice and personal holistic natural health formula. As an Experienced Registered Yoga Teacher (E-RYT), I have been practicing since 2000 and teaching for many of those years. Yoga literally means "yoke" or "union" and is an ancient Indian system of holistic healing that is thousands of years old. Today, yoga is very popular in the West--especially in health clubs--as a form of intensive exercise. For me, yoga is a mind/body art, bringing harmony to all systems in the bodymind. 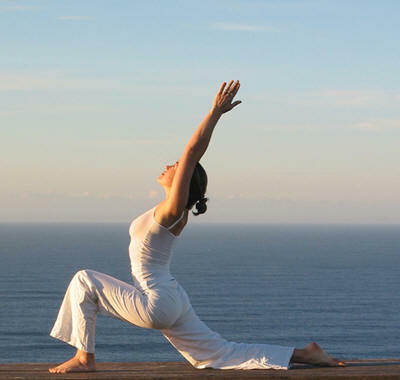 Benefits are similar to taiji, and include increased overall energy, increased vitality, relaxation & stress relief, improved operation of all organ systems, improved blood flow and normalization of body temperature, relief of muscle and joint pain, increased flexibility-balance-strength, improved elimination, and improved mental clarity and focus. Long terms effects of yoga practice are increased longevity and healthspan...meaning you will look and stay younger longer! I believe my own youthful and energetic appearance are a testimony to my practice. There are so many varieties of yoga...even more so than taiji. When I chose the school to study to be a yoga teacher, I chose Integrative Yoga Therapy (IYT), because I specifically wanted to learn how to practice and teach yoga as a healing art first, and only secondarily as a means of exercise (though it is certainly both). IYT incorporated yoga therapy as part of my teacher training, and I had to perform yoga therapy sessions on clients in order to be certified. Yoga therapy involves applying knowledge of yoga asanas (poses), pranayama (breathing techniques), meditation, as well as some principles of its sister art, ayurveda, such as diet and fasting/cleansing, to bring healing to various dis-eases, or conditions of imbalance. A yoga therapy session might include one-on-one teaching of poses that will specifically enhance the health of the client and address his/her ailments, or it might include discussion about foods or fasting/cleansing practices that will bring greater balance to the same. IYT yoga was derived from Kripalu Yoga, the deeply introspective and transformational yoga that my teachers were trained and experienced with and which they imparted to me. Click [HERE] to learn more about the benefits and nature of this practice. Below I've added 4 free yoga classes for you to practice at home. All are gentle and relaxing. The first two are from the deeply integrative, introspective, and meditative Kripalu Yoga tradition in which I am trained. The second two are also deeply relaxing and grounding classes, one of which is Yin Yoga and the other Restorative Yoga. All of the classes are about an hour in length, though the first one has a 30-minute option. ​I will also be developing my own class and publishing it here...so check back, soon! :) Enjoy.